PowerArchiver 2016 16.02.04 has been released today! Based on your feedback from our fast ring release, here is first official slow ring release since we have started using fast/slow ring system this month. Fast Ring / Slow Ring update system reminder – We have introduced fast/slow ring update system since release of PA 2016. 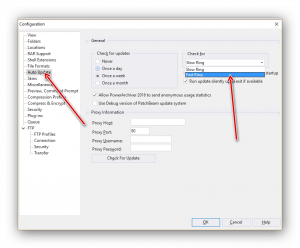 Please go to Config> Auto Update and select Fast Ring to get our “weekly” updates. For more info, visit our forums, each release is listed there and is based on your feedback via forums, web chat, and support. Contact us via any way you wish (email, chat, forums, support, phone) and let us know what want in next release! Various language updates – Various translations have been updated to latest release. Improved default RAR settings– Compression for default RAR max improved due to setting change. Now customized settings are applied when using compress to .rar shell extension as well. Large FTP improvements – various large improvements in FTP functionality. Spanned 7zip support improved – Fixed issue with spanned 7zip files. ACE format support improved – Fixed support for specific ACE archive. UAC improvement – Bring to front implemented for certain UAC windows. 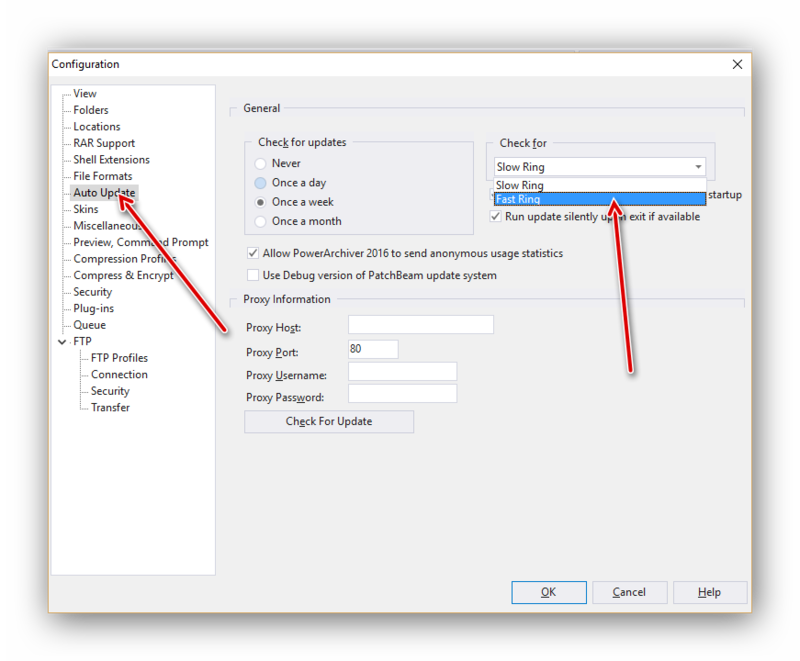 PAE/PAE2 improvements – Various smaller changes and fixes for encryption format support. 7zip ultra compression improvements – improved settings when using Ultra compression setting with 7zip format. Customize classic toolbar improvements – Added icon previews and dividers to customize classic toolbar window. Various icon and graphical changes – Various changes for icons and other graphical changes in large dpi scenarios. RAR encrypted filename support improved– Fixed issue with RAR encrypted file archives in shell. Compression profiles support improved – Improved usability of compression profiles in shell. You can download PA 2016 16.02.04 via Patchbeam or via download site. Thank you for your continuous support since 1999, and making PowerArchiver better with your comments, requests and wishes! Previous Post PowerArchiver 2016 16.00.69 released! Next Post PowerArchiver 2016 16.03.01 released!